ALIX antibody recognizes programmed cell death 6-interacting protein, also known as ALG-2 interacting protein 1, ALG-2-interacting protein X, PDCD6-interacting protein, or apoptosis-linked gene 2-interacting protein X. Mouse anti Human ALIX antibody recognizes the programmed cell death 6-interacting protein, also known as ALG-2 interacting protein 1, ALG-2-interacting protein X, PDCD6-interacting protein, apoptosis-linked gene 2-interacting protein X, dopamine receptor interacting protein 4 and programmed cell death 6-interacting protein. The PDCD6IP (ALIX) gene encodes a protein that functions within the ESCRT pathway in the abscission stage of cytokinesis, in intralumenal endosomal vesicle formation, and in enveloped virus budding. Studies using mouse cells have shown that overexpression of this protein can block apoptosis. In addition, the product of PDCD6IP binds to the product of the PDCD6 gene, a protein required for apoptosis, in a calcium-dependent manner. PDCD6IP product also binds to endophilins, proteins that regulate membrane shape during endocytosis. Overexpression of PDCD6IP product and endophilins results in cytoplasmic vacuolization, which may be partly responsible for the protection against cell death. Several alternatively spliced transcript variants encoding different isoforms have been found for PDCD6IP. Related pseudogenes have been identified on chromosome 15 (provided by RefSeq, Jan 2012). 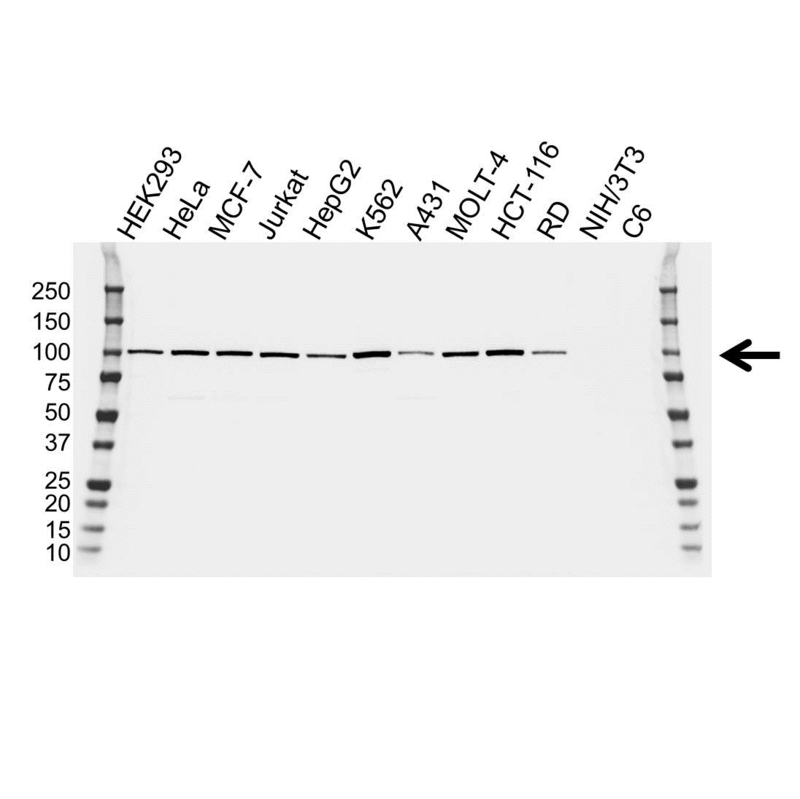 Mouse anti Human ALIX antibody detects a band of 96 kDa. The antibody has been extensively validated for western blotting using whole cell lysates.